When consumed in larger amounts, bay leaves can provide necessary nutrients that offer positive health benefits. You may have heard of the fragrant herb bay leaf as it is commonly used in Mediterranean dishes for adding taste and a floral flavor. 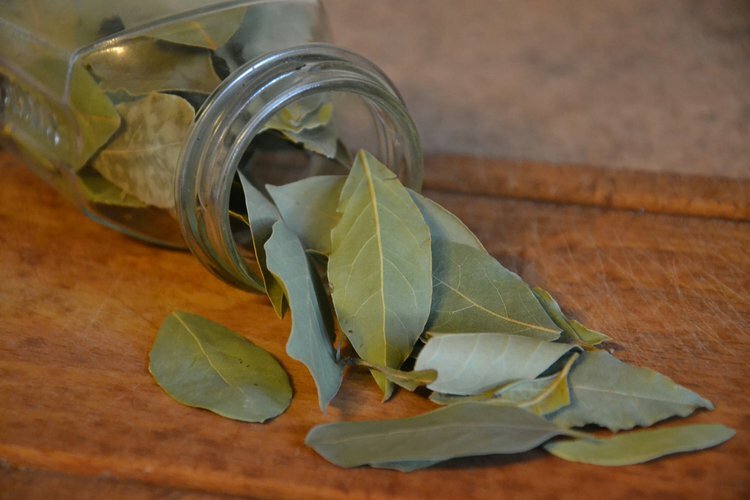 However, the bay leaf has been proven to add more than just flavor to your dish. Several health benefits have been scientifically investigated, such as its role in lowering blood glucose and LDL cholesterol, increasing HDL cholesterol levels, and improving insulin sensitivity. Scientifically known as Laurus nobilis, bay leaves have exhibited positive effects on insulin function. It was first identified in 1990 by the US Department of Agriculture in Maryland that bay leaves play a role in glucose metabolism. It was found that bay leaves, along with other spices, significantly potentiated insulin activity, demonstrating a possible role in glucose metabolism. A study conducted in 2009 at the Agricultural University Peshawar in Pakistan was designed to evaluate the effect of bay leaves on patients with type 2 diabetes and heart disease in patients who had type 2 diabetes. The results after 30 days of 1-3 grams of bay leaves per day showed a 21-26% decrease in blood glucose, a 21-24% decrease in total cholesterol, a 32-40% decrease in LDL (bad) cholesterol, and a 19-29% increase in HDL (good) cholesterol levels. These results were significant in identifying the role bay leaf has in improving blood cholesterol to decrease the risk of cardiovascular disease and improving blood glucose levels to prevent and/or ameliorate current diabetic conditions. When consumed in larger amounts, bay leaves can provide necessary nutrients that offer positive health benefits. They contain a good source of folic acid, iron, and vitamin B6, nutrients that play an important role in the production of red blood cells and metabolism. Bay leaves also contain vitamin A, a nutrient necessary for the maintenance of normal vision, a healthy immune system, and cell growth. Something as simple as adding a tasty herb to your everyday cooking will allow you to take small measures to improve your health and prevent harmful conditions, such as cardiovascular disease or type 2 diabetes. You can add bay leaves to foods, such as beef, poultry, soup, salads, or sauces. Talking to an expert could be beneficial in determining if a larger bay leaf supplement is right for you. Taking a gram or two of bay leaves per day is a simplistic way that you can lower your cholesterol and blood glucose levels. As there has been no proven harm in doing so, there should be nothing stopping you from improving such an important part of your health. And it’s something that tastes good!